and all day yesterday too. I can’t seem to stop leaking tears. He was amazing and brave and he changed my world and helped me to know that I was strong enough to deal with all the bad crap the world could throw at me. Neil Gaiman has already said the most essential things on his blog. Read it here. Be certain to go to the comic link at The New Yorker and READ IT! 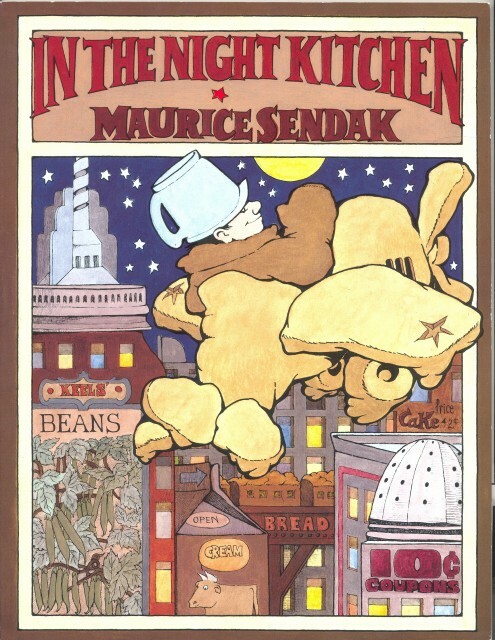 It’s funny that he mentions In the Night Kitchen, because that is the most treasured Sendak book I own (and I have a number of his other books). Not just because it is a particularly favorite story (Read Banned Books! ), and I do absolutely pick up the Little Nemo connection, but because it was Robert McKinley’s copy before it became mine.